There’s a thousand things that can make a heart break into a million pieces. When you’re a kid, it ‘s losing your favourite toy. When you’re a teen, it’s having your crush ask your best friend out instead, And when you’re a mum, it’s hearing your child apologise as he lays dying in his bed. This is exactly how Amber Schofield’s heart broke. It happened on November 10. And it’s a day she will never forget, for all the wrong reasons. Because it’s the day hope punched her in the guts. The day she knew that she was about to lose her five-year-old son. Forever. Amber recalls the moment her heart tore completely in two in a poignant Facebook post. “Charlie … turned to me and said in the most quiet, panting voice, ”Mummy, I’m so sorry for this,” she says. 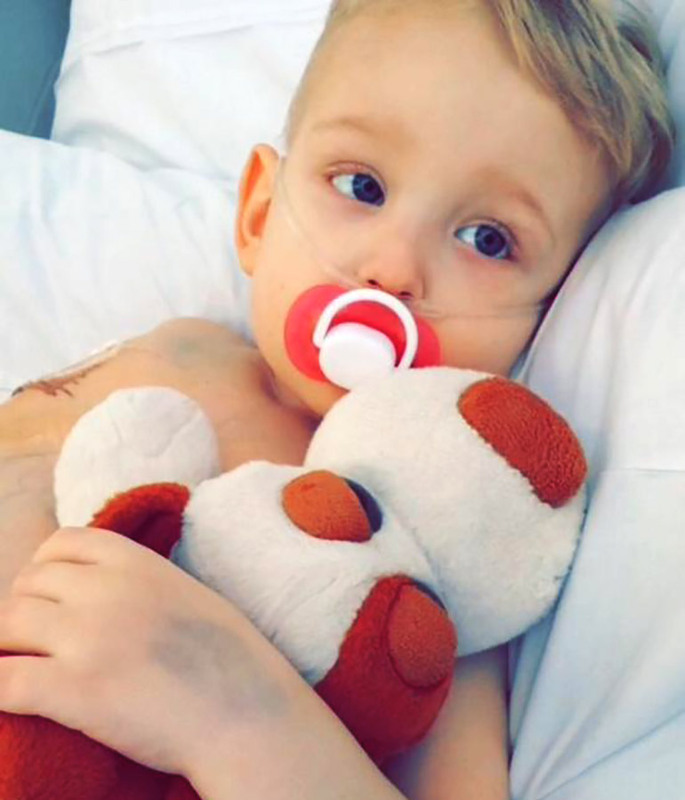 Charlie was diagnosed with hepatoblastoma – a rare cancer that begins in the liver – back in February 2016. 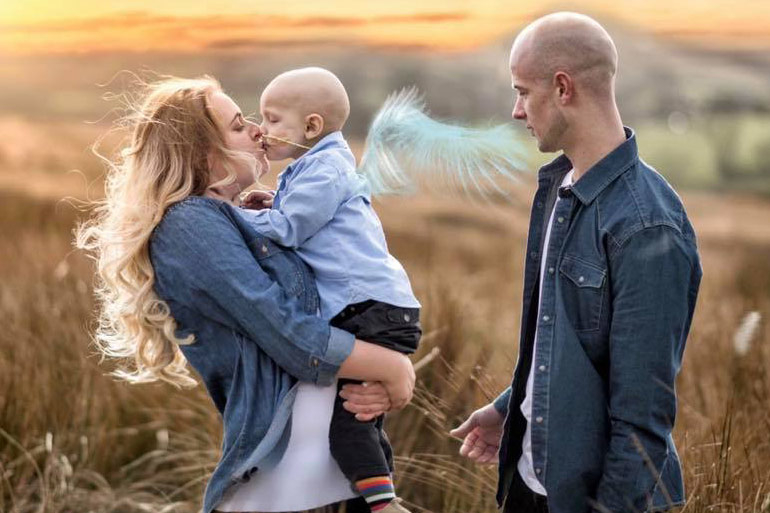 His parents desperately tried to raise the $1.1 million needed to take him to the US for a liver transplant, but Amber says they soon realised it was an impossible sum. 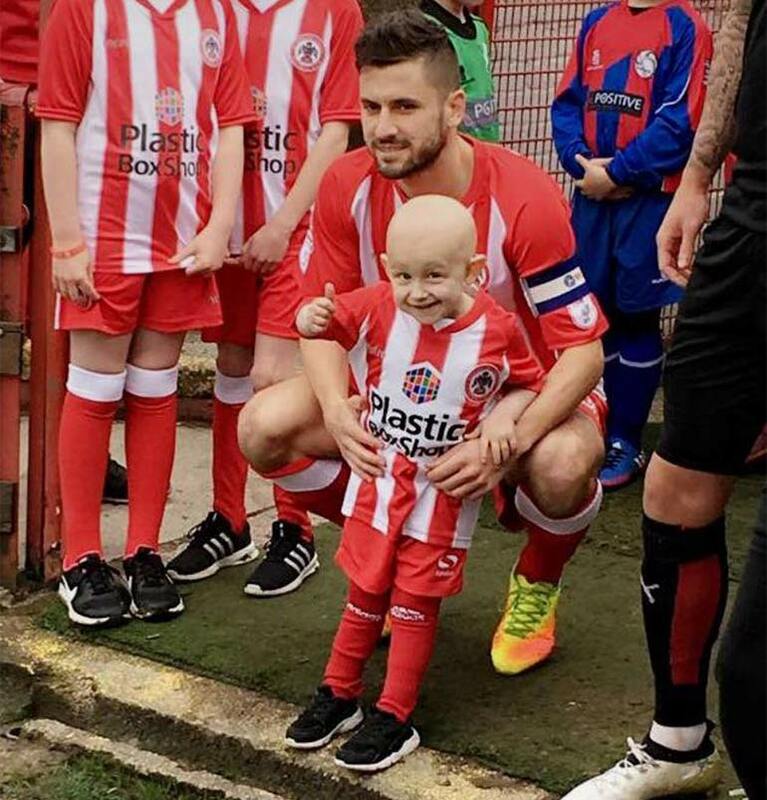 Instead, doctors in the UK treated Charlie’s aggressive cancer with equally aggressive courses of chemotherapy and surgery. But the cancer kept spreading. And a few weeks ago, Amber and her shattered partner, Ben Proctor, buried their boy. In her grief, and even though hope abandoned her own family, Amber is spreading a message of love and hope to other parents. Love your children. Cherish the little moments. Hold them tight. “Make sure you give your children kisses before bed, tell them you love them 100 times a day. I will never hear Charlie tell me he loves me again. “Make sure you take lots of videos even if they’re just eating dinner. I want to remember the way Charlie ate his food, how he held his fork. I hope to remember everything. Spend just 10 minutes reading them a story. Read them a story tonight. In memory of Charlie I hope that people feel and give more love. I would do anything and everything to hear him say those three words,” Amber says. Just days ago, Amber recalled the last moments she shared with her eldest child. And if you can read her words without tears welling in your eyes, without stopping to hold your own kids close and kiss the tops of their heads – well, then you’re a stronger person than me. “Thank you Charlie, Thank you for showing me what love really is, Thank you for all the amazing memories, Thank you for making me a mother. I am so lucky to have had you in my life. The pain of losing you, of watching you go through this for 3 years, the guilt of not being able to help, all of it hurts me so much. 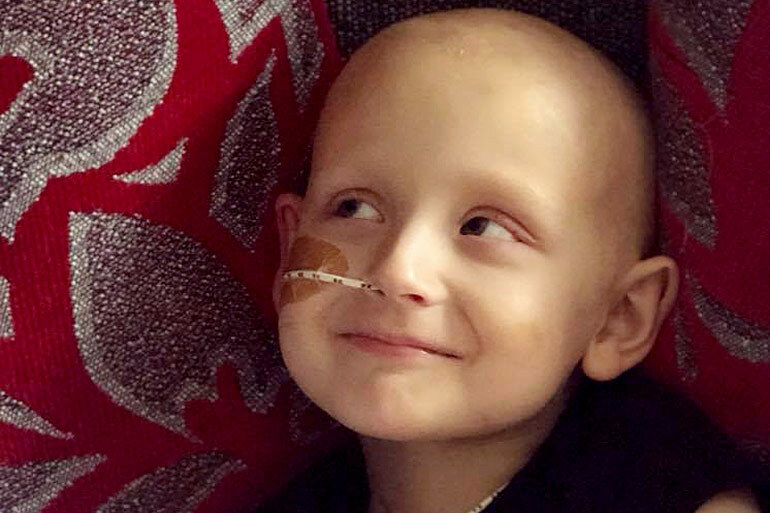 Amber wants the world to know how much she cherished her son – her cheeky, funny, beautiful and sometimes grumpy son. She wants us all to know how hard it is to watch the child you grew inside you – the child you loved from even before they first drew breath – fade away and die right in front of you. 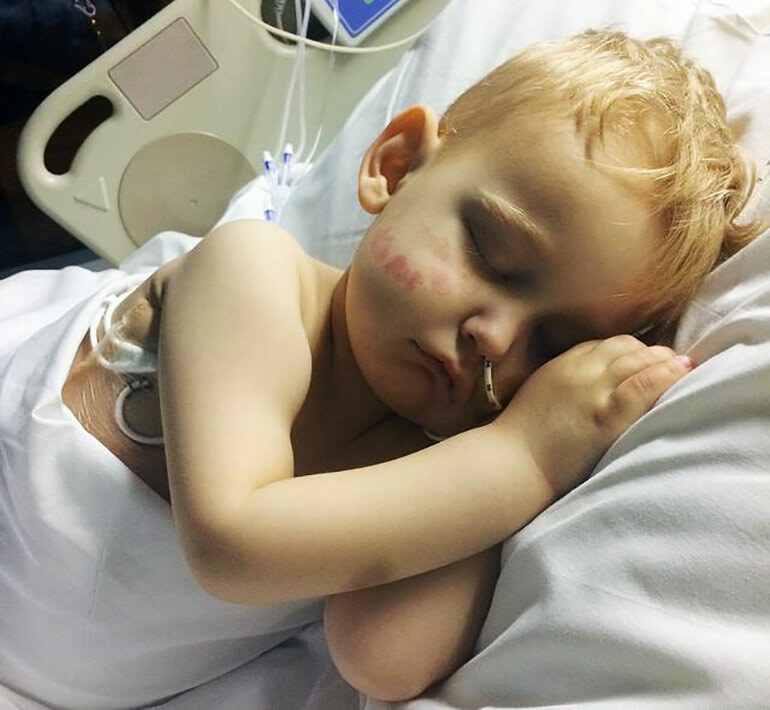 “I hope Charlie’s story has made you all realise how precious our life is. I hope Charlie can bring people together. There is no good at all to losing him but I hope good can become of it,” she says. To Charlie, we’re so sorry you’re gone. 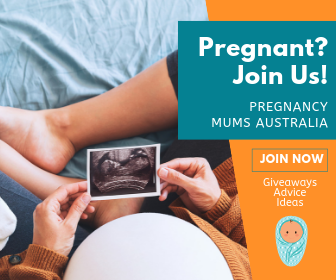 To his little sister Jessica, and to Amber and Ben, know all of us at Mum Central will hold a little piece of your darling boy in our hearts forever too. This isn’t the first time we’ve shared a story about childhood cancer that leaves us feeling broken. 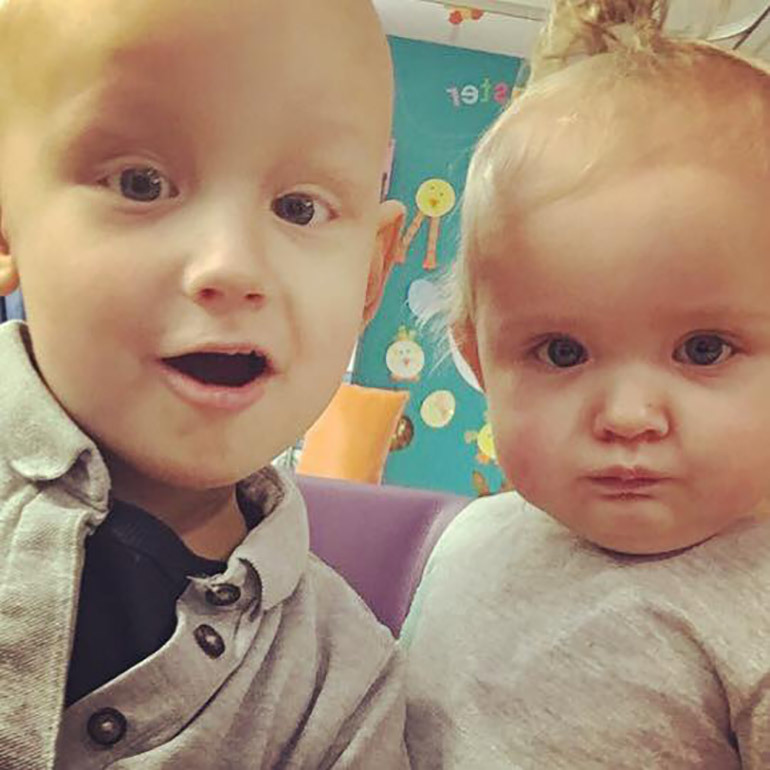 Please take a moment to send prayers and positive thoughts to the family of siblings Kalea and Noah Avery, who are both fighting brain cancer.